The Rapala knot is a non-slip loop knot that can be tied directly to the lure allowing it to move naturally and freely. It is extensively used in fly fishing. If a swivel or a leader is necessary, you should choose a very light tackle to enable natural motion of the lure. 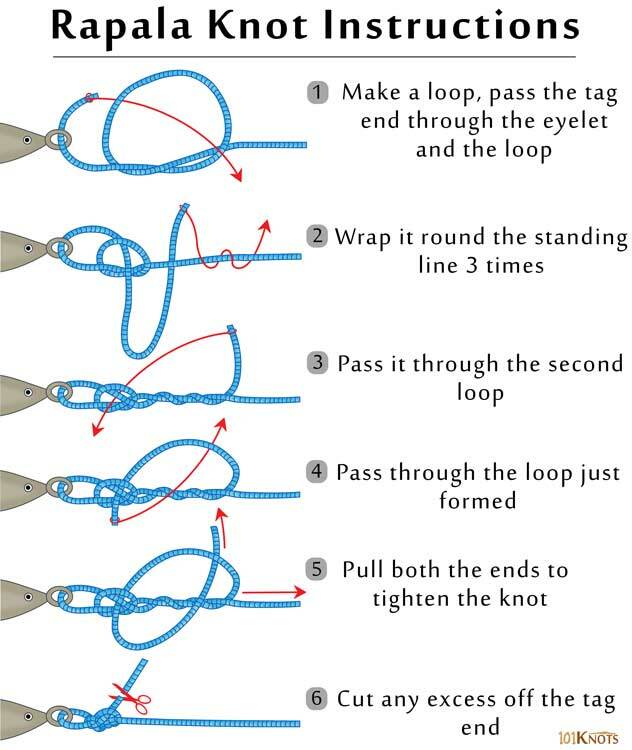 Non-slip loop knot – Simpler to tie with no change in strength. Perfection loop – Used by anglers for loop to loop connections.